While the rider is playing, the game learns what the rider knows and what he or she still needs to practice. Every single response (or non-response) is stored in an internal database and statistically analysed by the software. In this way the program is able to custom-tailor to each rider, which questions are asked next. No repetitive drilling of random number facts the rider already knows – but real practice of what actually needs to be practiced! Plenty of feedback is given on the rider’s mastery of each number fact and operation, including an innovative overview map of mastery for each number table. This is highly beneficial for both the rider and the parent/educator. You can see with one glance where your child is at and where he or she might need further assistance. Top challenges are also listed in a separate list box for further easy reference. Clicking on a question brings up more information on it, including a visual representation as well as some detailed statistics. I am hopeful every time we get a math game to review. Hopeful that we will find one that my girls will enjoy and learn from. We have had some they enjoy and some they learn from. But rarely does a math game do both. Sadly for us. 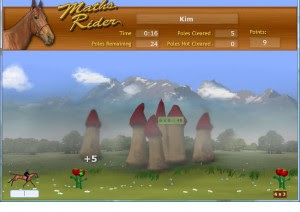 Math Rider is our newest math game up for review. The concept is simple. Answer enough math questions quick enough and well enough to complete the quests. Picture medieval times. You are riding on your gallant horse, rushing to complete your quests. The first is to find the mystical flower Pythagoras, the only thing that can cure your mother. The second is to find the elven gem that keeps darkness away. The third is to find help in rescuing the kidnapped princess. And the final, the shortest of the quests, is to actually rescue the princess. The quests are based on the difficulty level. First pick the quest type. Then pick the difficulty level. The game is "smart" in that it caters the questions depending on your skill level. For example, if you say that 4 + 11 = 17, you can know for certain that you are going to see that question again A LOT . . . until the game feels you have mastered it. It also bases the speed of questions on your speed. The faster you answer the questions, the faster the next one will pop up. If you don't answer a question or answer it incorrectly, the screen will show the answer. But again, you can be certain that question will keep coming back up until the game feels you have mastered it. Once you achieve 99% mastery, you can choose the Master Level and rescue the princess. After you complete each round, you will see a map showing you how far you have progressed in your quest. Then it will show you your mastery level. Again it has to be 99% to rescue the princess. My 12 year old played the game. She played without much complaint. But only as long as I made her. She did try to figure the correct answer before the computer gave it to her. My 9 year old played the game. She liked the concept of rescuing the princess. She would ask to play longer, watching the progress on the map after each round. She wanted to play more, hoping to get closer to saving the princess. She quickly figured out the game play, and tried to beat the clock as well. After she finished the first 3 levels, we thought she would save the princess. This is when we discovered that you have to have 99% mastery before you can do that. This was a disappointment to her. Because she thought she had won the game, just to learn that she has to replay the levels that need improvement. Of course, this makes sense. The whole point is mastery. But it was a discouragement to her. I do think the game works, it can accomplish what it claims to. Your child will gain speed and accuracy. The rounds are short enough for short attention spans. And the progress is clearly shown on the map. So they have a rough idea how much longer they have for each quest. But it depends on your child's learning style, as to whether or not your child will enjoy the game. My 9 year old enjoyed it more than my 12 year old. Remember, there is a 30-day guarantee. 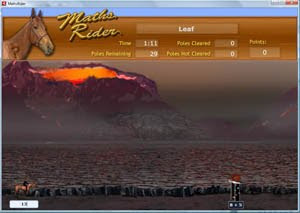 Disclaimer: I received the Math Rider game free of charge, as part of the TOS Homeschool Crew. The above is just my opinion. Please remember that opinions may, and do, vary. Both of my older girls had dentist appointments today. No cavities. And all done for 6 more months. Yay! Plus new toothbrushes, tubes of toothpaste, and toys from the dentist's treasure chest. Does life get any better? Hee-hee. I took my girlies skating today. Being winter break in town, the skating rink was packed. So many people. Yikes. We had never seen the place so busy, since we usually go on weekdays that aren't holidays. My 2yo has only gone once before. Over 6 months ago. She thought it was so much fun. She loved the crowd, excitement, music, lights. Just being a part of it all. She had the biggest smile on her face as we went round and round the rink. My other daughters, 12 and 9, had a good time also. And got lots of exercise. Which I loved. Their cute faces were so flushed by the time they would take a break. My 12yo had a friend join her, so it was even more fun since the "fun was doubled". My 9yo invited a friend, but unfortunately she wasn't able to make it. But that was alright. She had more time to hang out with me and the 2yo. She is such a great helper with her baby sister. Taking her hand and helping skate around. So sweet. And the little one loves it. She just adores her older sisters. But one thing I read really struck a chord with me. It said, in so many words, "Be careful what you criticize your child for, because they may never do it again." Do you understand the depth of that statement? Words you say in haste or in anger, or in just a lack of judgment . . . those words could cause your child to never do it again. You are cooking. The pot boils over. It goes everywhere. You are so angry at yourself for letting it happen. You start cleaning it all up. Half-way through the wipe down, your 4-year-old daugher comes in from outside and hands you a daisy that she picked just for you. Do you smile and thank her. Or do you snap, "NOT RIGHT NOW! CAN'T YOU SEE I HAVE A MESS?". If you do the latter, she may never bring you a daisy again. When I read that statement in the Duggar's book, it had a huge impact on me. May I never forget it. May you never, either. 365 days to put the full program to the test with absolutely no risk. All for only $97 — a deep discount over purchasing each piece separately. Both of my older children love to read. They don't really need encouragement or prodding. They voluntarily read a lot, especially my 12 year old. So I thought this program might be something that they would enjoy. 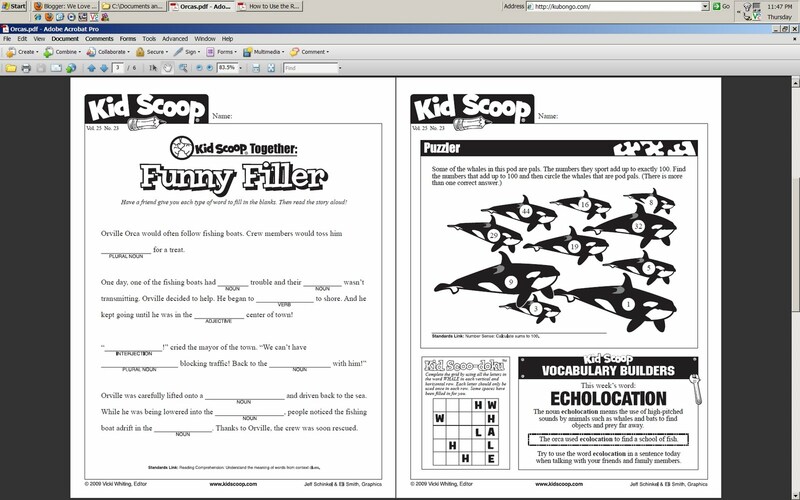 The first thing we looked at was the Kid Scoop Magazine. It is a monthly publication. We received the January 2011 issue. And we have since looked over the February issue as well. You can either view it online or print it out. Printing it out makes it easier to read and of course, easier to do the activities. But viewing it online allows you to use the "click-able" options. So maybe the best thing is to view it online, clicking on any of the links that interest you. Then you can print it out and read it more thoroughly and enjoy all of the activities. The newspaper is customized for the month of issue. January mentioned items such as Martin Luther King, Jr. The February issue focused on items such as Valentine's Day. The issues are full color and very eye-catching. But beware, if you plan to print it, it will require a whole lot of ink. 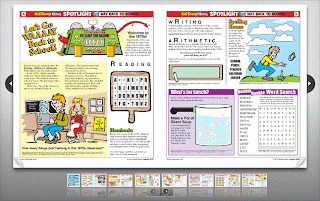 The articles and activities are many, with great variety. - There is also a section at the end for Early Learners, the younger ones in your family. I think it is very appealing and interesting. It has lots of fun activities and informative articles. I was surprised to see that my children weren't more interested in it than they were. My 12 year old said it was too young for her. I thought my 8 year old would be more "into it". But she didn't want to spend much time on it either. -Louisa May Alcott and Martin Luther King, Jr. The printouts are 6 pages long and black-and-white. Perfect for printing out and for completing in a short amount of time. Again, there are lots of activities to choose from. I like that each packet is based on a theme, like a mini unit study. You can pick based on the time of year (such as Valentine's Day) or based on your child's interests (such as Orcas). 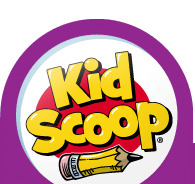 Kid Scoop includes a suggested schedule, one by month and one by theme. I think these are very cute little packets. Just the right size for finishing in a short amount of time, great for a car ride. My daughters enjoyed these more than the newspaper. They had fun making up their own riddles and word plays. They enjoy "spot the difference" pictures. Here is an example from the Orcas packet. Be sure to visit their website to sign up for 30 days of awesome exercises and ideas to make reading fun for free. The Reluctant Reader has a 365-day guarantee. That is a whole year of trying it. Disclaimer: I received the Reluctant Reader Solution free of charge, as part of the TOS Homeschool Crew. The above is just my opinion. Please remember that opinions may, and do, vary. Wow, never thought I would miss this many days. Yikes! Last week was crazy. My mom came to visit for the week. It had been almost a year. So, of course, we were kept busy spending time with her. My girls couldn't get enough of Grandma. Also, my family has been passing a cold around. And it looks like it has gone back full-circle to our daughter who started it all. Hopefully, she won't get it as bad this time. But she started with the sniffles again this time. What do you use to fight off the winter colds? We use multi-vitamins and vitamin C. But I am considering adding more to our regimen. More Vitamin C, more Vitamin D, and some sort of pro-biotics. Would love to read about your tips. Well, I missed a day. Figured that would happen. Hmm. Guess we will try again. Today I have decided to count my blessings. Feel free to add some of yours at the end. I would love to read them. So what are some of yours? 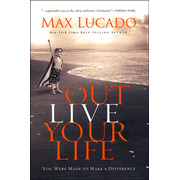 Max Lucado encourages everyone to look beyond themselves, beyond their own little world. He begs us to actually "see" those in need around us and even far away and to commit to doing something about it. You can't do everything for everyone; but, you can do something for someone. Max Lucado is an amazing author. This book is no exception. God made us for a purpose. He has a plan for us. He wants our deeds of kindness to outlive our lives. Our lives are short here on Earth; but the acts of kindness can have a ripple effect that we may never even know. Make a conscious effort to truly "see" those that you come into contact with. Don't see the color of their skin, their religion, their mistakes. See their hearts, their potential, their needs. If you have seen the movie, "Avatar", you may remember how the tribe members greet each other by saying, "I see you." Max mentions this as well. "In certain Zulu areas of South Africa, people greet each other with a phrase that means 'I see you.' Change begins with a genuine look. And continues with a helping hand." Max offers practical ideas and suggestions. Ways to overcome our fears, prejudices, and hang-ups. Simple ideas to get us started, with one small change at a time. "So how can we prepare ourselves? Simple. Imitate the disciples. Linger long and often in the presence of Christ. Meditate on His grace. Ponder His love. Memorize His words. Gaze into His face. Talk to Him. Courage comes as we live with Jesus." These are Max's words of encouragement and wisdom to get you started. And it sounds like a very good place to start to me. Max does give a very important warning. Make sure you do these things for the glory of God. Not for the praise of man. God hates hypocrisy. Remember Annanias and Sapphira? Right, not a very happy ending. So make sure your heart is in the right place. "Hypocrisy turns people against God. So God has a no-tolerance policy. Let the cold, lifeless bodies of the embezzling couple issue their intended warning. Let's take hypocrisy as seriously as God does." This book has truly challenged me to move out of my comfort zone, out of my own little world. To make more of a conscious effort to outlive my life. Sure I have done a little here and there. But honestly, it was just a little. And after reading this book, I so want it to be more than just a little. If you could take a trip anywhere, where would you go? Who would you take? How long would you stay? I have been to a few places that have made a great impact on my life. Places that I am so thankful to have had the chance to experience. Many places of historical significance. I am a big U.S. History Buff. These places gave me a glimpse into our past. At some of these places, it was as if time stood still. There are some other places that I hope to visit in the future. What about you? What are some of the best places you have visited? And what are some of the places that you still hope to see? I have been married for 14 years. It will be 15 years this Friday. We are homeschooling our 3 daughters, a 12yo, an 8yo, and a 2yo. 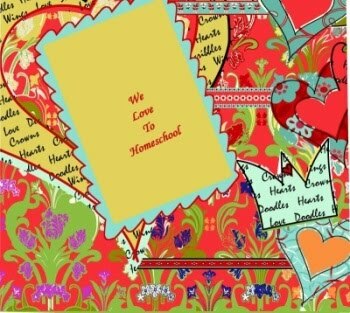 We are an eclectic homeschool family. We pull from several different publishers, curricula, and lots of living books. Living books are my new favorite way to teach. We are currently reading a book called "Pocahontas, A True Princess." So far, we are loving it. My daughters are very picky about what we read. So anytime I find one that they both like, I let out a huge sigh of relief. What about pets? We have a lab, two cats, and lots of fish. My girls would like to have more. More dogs, more cats, more fish, and whatever other animal I would let them bring home. But for now, I have my hands full. We are currently in the dead of winter, with lots of snow on the ground and the wind howling as I write this. I love snow. I think it is beautiful. I love to see it falling, love to see it on the ground. Love to see the snow-covered mountains. But the dark, short, cold days of winter? Well, I don't like those so much. And I find myself battling cabin fever every winter, the past 5 years that we have been in snow-country. So if any one has any tips or suggestions on ways that you have successfully fought off the cabin fever, I would really appreciate it if you would share them with me. Bring it on, because I could sure use it. Well, that is all for now. Now to start thinking about what to share with you tomorrow. An online friend of mine has made a challenge . . . a challenge to post at least daily on our blog every day for the month of February. Well, I have been wanting to post more than reviews here on this blog. To make it more personal and inviting. So, I am taking April's challenge as a swift kick in the seat of the pants. I doubt I will make it every day. Doubt I will even think about it every day. But even if I only blog half the days, it is a major improvement. So here it goes. 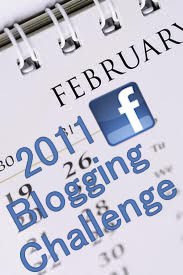 Day 1 of the Blogging Challenge will be to put my announcement out there. To commit myself to doing this, publicly. What will my blogs be about? I DON'T KNOW. Scary, huh? But I am going to sign off and go get some sleep. And hopefully the sweet dream fairy will visit me tonight and leave a little inspiration behind. If not, well, I guess we will both be surprised.